Good thing there are no firearms in the house. 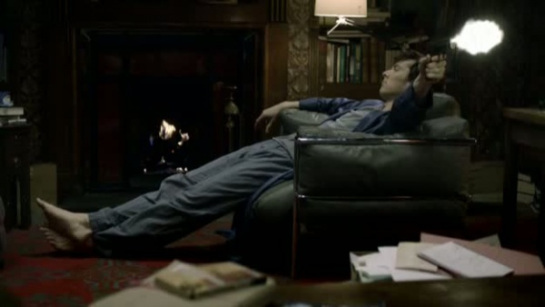 No matter what your version, Sherlock Holmes gets bored. But Sherlock Holmes is never boring. One of the things I love about being a Sherlockian is that between us, we manage to take every topic in the known universe and somehow connect it to 221B. It doesn’t matter what (else) you’re into–and if you add Sir Arthur himself, it gets even easier. People who have spent decades in the company of Mr. Holmes often say they go through more dormant phases, but they always end up coming back, because Sherlock Holmes is the friend who makes life just a little more interesting. Today’s prizes reflect his wide-ranging diversity. My copy is so beat up, I had to find a jpeg to share with you. 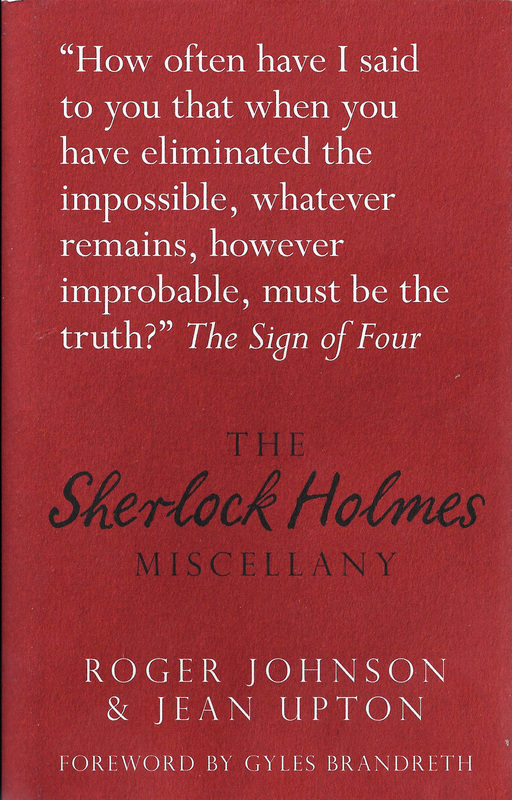 The Sherlock Holmes Miscellany is a small book with a remarkable amount of information on every page. No matter what your Holmesian interest, you’re likely to find it inside. It’s as close to one of the detective’s commonplace books as anything I’ve seen–and it’s so small, you can carry it around with you for doctor visits, checkout lines, traffic lights…. * Husband and wife team Roger Johnson and Jean Upton (both Sherlock Holmes Society of London members with remarkable connections) do a fantastic job of covering the past, present, and future of Sherlock Holmes. 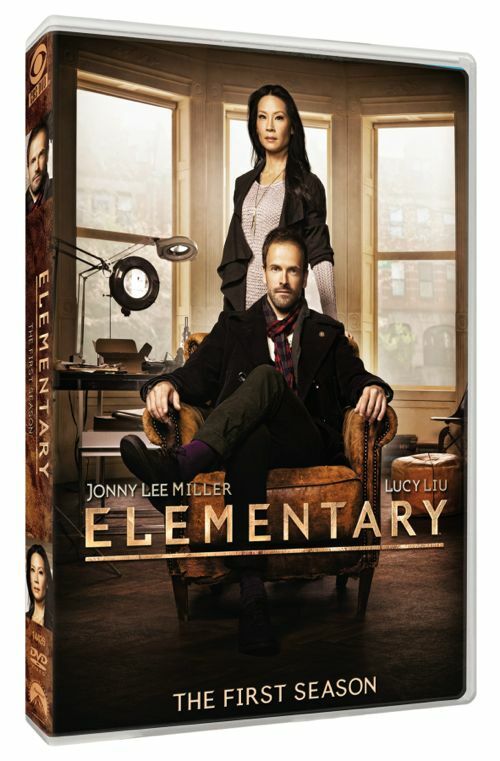 Going from Amazon UK, it looks as if I can make this available in either Region 1 or Region 2; if this is your choice of prize, please let me know which one you need. Although Sherlock Holmes often takes on interesting work for little or nothing, two of his clients took jobs doing practically nothing for very handsome wages. Who were they, and in which stories do they appear? As always, send your answers in via blog comments, Twitter DM or Facebook PM. Good luck, and stay warm! Congratulations to Claire Daines, who knew that “The Great Game” historically refers to the struggle between Great Britain and Russia over who would prevail in the Middle East and Central Asia. Britain, as we know, had colonies, military outposts, and spheres of influence in that region, and was very concerned about Russia’s expansionist ambitions. **I keep wanting to say “video,” because I am old. ***Full disclosure: this version didn’t work for me, but quite a few friends like it. To counterbalance this, I must be the only person in the world who sees nothing wrong with Matt Frewer’s version. 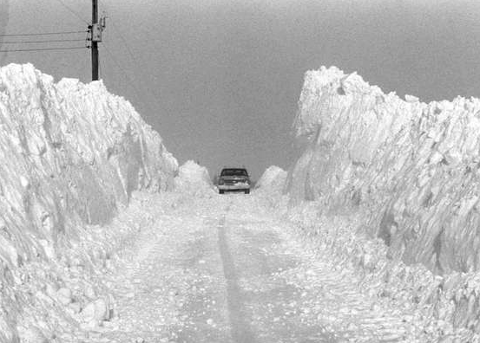 Great picture of the snow tunnel by the way. Ours is less dramatic! Your Twelfth-Night posts/giveaways have been great. The first one was Jabez Wilson, a London pawnbroker from “The Adventure of the Red-Headed League”, who took the job offered only to red-haired male applicants, which was to copy the Encyclopoedia Britannica for bizarre remuneration for this kind of work. Thanks for all your work! I love this game! Answer to day 11: Jabez Wilson, The Red-Headed League and Hall Pycroft, The Stockbroker’s Clerk. Jabez Wilson in The Adventure of the Red-Headed League and Violet Hunter in The Adventure of the Copper Beaches.